Travel seems like one of those things that people always have done and always will. Places like Paris, the Grand Canyon, and Hawaii seem like they perpetually capture the human imagination. But in some (very healthy) ways, the nature of travel has changed dramatically over the years. Take, for example, the spectacle of human tourism that was... Quintland. 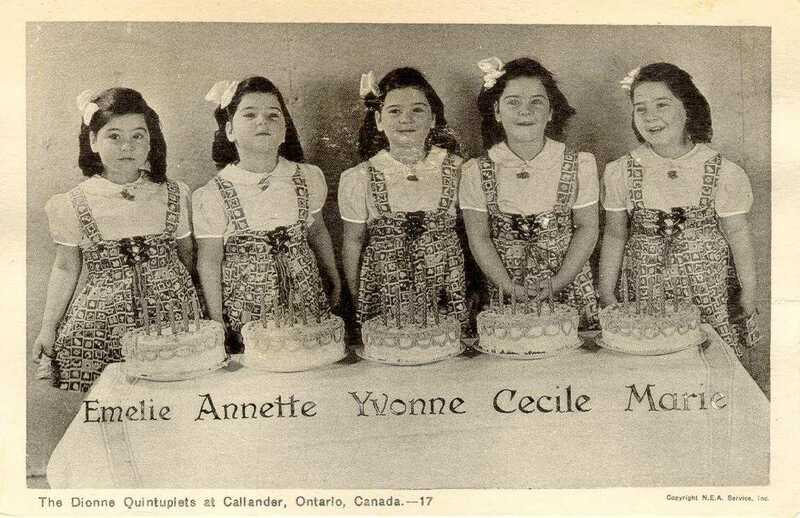 Born in 1934, Yvonne, Annette, Cecile, Emilie and Marie - the Dionne sisters - were the first known surviving quintuplets. Born to a poor farming family in Ontario, the quintuplets quickly became celebrities. Their first public appearance was at the Chicago World's Fair but their exploitation didn't end there. Soon after, the quintuplets were made wards of the state and installed in a guarded compound where thousands of tourists came daily to view the quintuplets through specialized one-way windows. Separated from their parents, who used their new-found fame to sell souvenirs and autographs, the quints grew up in an isolated world of photographers, nursemaids and government officials. By the time they turned nine, the sisters had lost the public interest and were released back to their families. Their lives after were characterized by ignorance, poverty and illness. In the 1990s, Canada issued an apology to the quints and granted them a share of the over $300 million profits earned by Quintland. In it's heyday, the attraction beat out Niagara Falls as the country's top tourist destination. For more info on the Dionne sisters, see here. For other crazy tourist attractions, check out this article. Have you been to any crazy tourist attractions? In Peru, our guide took us to an "Indian Village" where men in grass skirts taught us to shoot a blowgun and bare-breasted women sold us jewelry. We saw the villagers later in the day dressed in t-shirts and shorts.